Featuring resilient and physically damaged former Royal Marine Commando, Special Boat Services Officer, Art Marvik now turned undercover investigator for the UK's National Intelligence Marine Squad (NIMS). Marvik is smart and tough. He can operate outside the law and does so because the job demands it. He’s not always right though. He makes mistakes, he misjudges people. Sometimes the consequences are shocking and disturbing. Tough, highly trained, fearless, intelligent and fit. Injuries inflicted while in combat have forced Marvik to leave the Marines and seek a new life in Civvy Street. 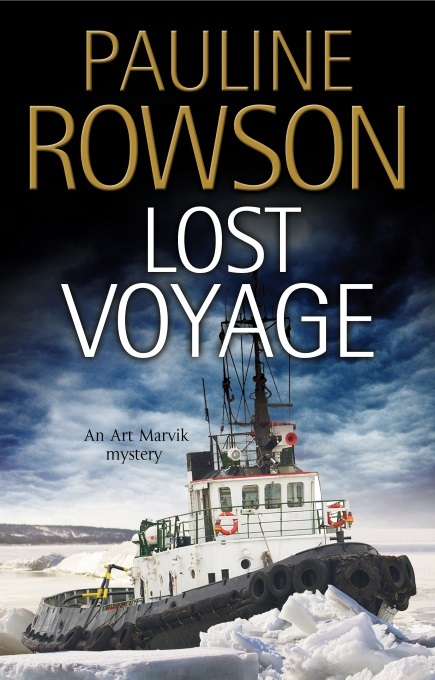 He thought he’d be able to adjust and carve out a new career for himself on the sea, but his first job as a private maritime security operative goes very wrong when the luxury motor cruiser he was travelling on and had been detailed to guard, gets attacked by pirates in the Indian Ocean, and Marvik finds himself with a bullet in his shoulder and the boat’s owner dead. He failed on his first mission in civilian life, and Silent Running, the first in the Marvik series, opens with him reeling from it. Soon though he is launched on a new and dangerous career working as an undercover investigator for the UK's National Intelligence Marine Squad (NIMS) headed by Detective Superintendent Philip Crowder. Marvik is aided in his investigations by his former Royal Marine colleague, communications, surveillance and IT expert, amputee, Shaun Strathen. Marvik’s task is to go in to investigations comparatively cold with minimal information from Crowder even though Crowder knows more. His role is to ask questions, to stir up trouble, to provoke a killer into the open and to risk his life in doing so. Marvik is no stranger to staring death in the face. He’s been doing it all his adult life. His biggest fear is being injured and incapacitated, being weak and having to rely on others. Fiercely independent and resilient since the age of seventeen when his parents - his mother a renowned marine archaeologist and his father an equally renowned oceanographer- were killed in a underwater explosion in the Straits of Malacca, Marvik’s family became the Marines. Three published with the fourth written. Published in the UK and the USA.